Soil and water are essential components of food production on our planet. They hold and transport the nutrients necessary to feed the current world population of 7.5 billion people. There are many different management schemes to produce agricultural products and it is safe to say that the production of food, along with natural forces, does add to the impact of our natural resources. 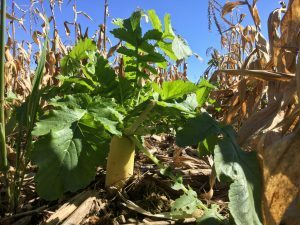 From the home gardener to the commercial producer, it is the responsibility of Potter County agricultural producers to retain their soils and the nutrients they have applied in them. The Potter County Conservation District can assist county residents with planning to reduce impact of our natural resources by implementing Best Management Practices. Through working partnerships with Penn State Extension and USDA-NRCS we can assist with funding opportunities and technical assistance.